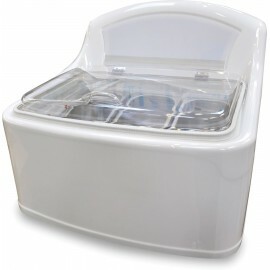 Ideal for where space is tight but you want to maximise sales of scooping ice cream. 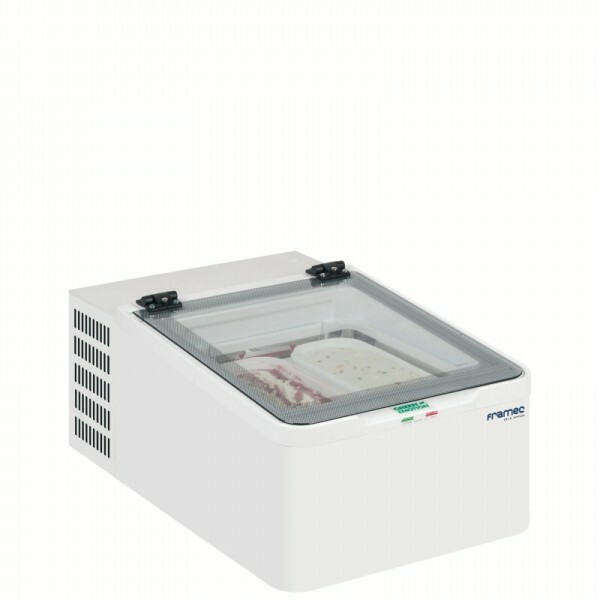 The Mini Cream 2V from Framec is a counter top 2 scoop ice cream freezer. 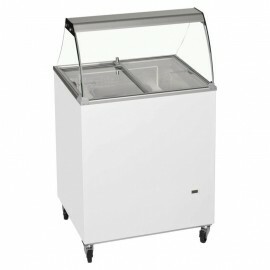 The unit holds 2 x 5ltr napoli pans and comes as standard with hinged low E glass canopy and temperature display. We will deliver to a UK mainland port or carrier for onward shipping arranged by customer. Exception to this is the Isle of Skye which has a bridge to it. Stair walker. Note that not all cabinets fit on a stair walker and there needs to be clear access. Any restrictions on site or with access to site must be stated on order. 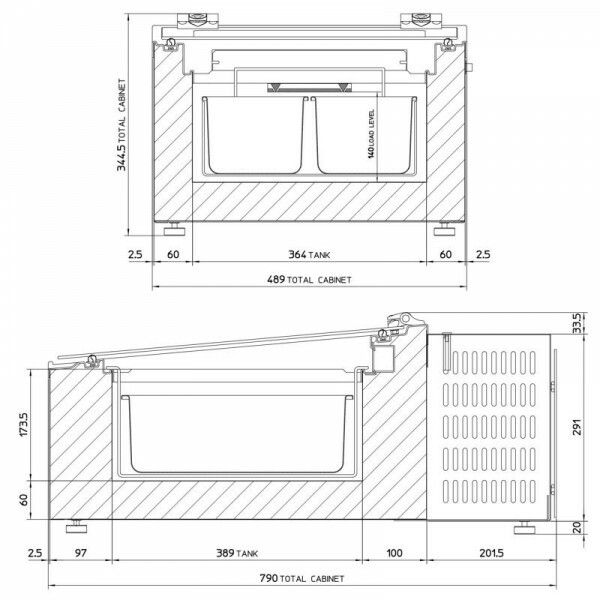 Note that driver(s) will not lift cabinets through windows, over counters, up/down steps/stairs or similar restrictions. Charges may apply for services outside of our normal delivery listed above. 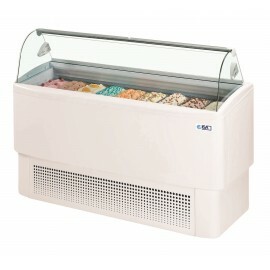 The Tefcold SC soft scoop ice cream display with glass canopy has four sizes available all with cast.. 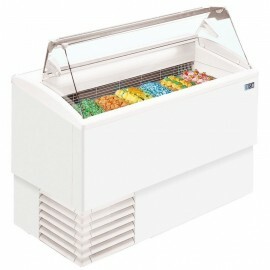 The large capacity AHT Boston soft scoop ice cream display freezer can fit 22 Napoli pans in the dis.. 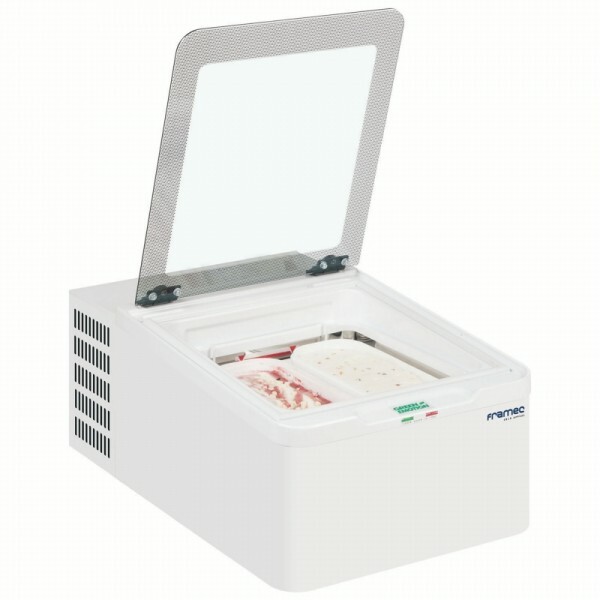 The ISA Fiji is a sleek, feature packed ice cream display freezer available in a range of sizes and ..
ISA have a superb reputation in the ice cream world for making quality ice cream displays. The Isett.. 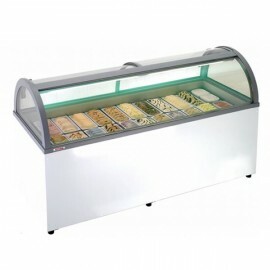 There's not many counter top ice cream display freezers on the market and even then they can only ho..